The Mt. San Jacinto Community College District is pleased to announce it will soon expand access to higher education for residents of Southwest Riverside County and surrounding communities. 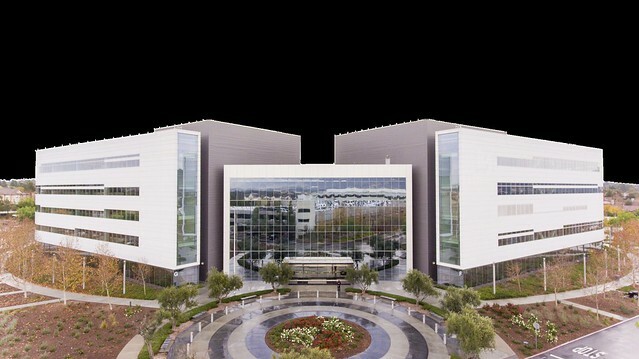 The college district purchased two five-story office buildings located at 41888 Motorcar Parkway in Temecula on March 16, 2018. The City of Temecula, which helped facilitate the purchase, joined the college district at a press conference to celebrate the purchase. The press conference was held on Tuesday, March 20 at the new location. The college’s mission calls for it to provide quality, accessible, equitable and innovative educational programs so students can achieve their academic, career and personal development goals. The 350,000-square-foot facility is the size of all of the buildings on MSJC’s Menifee Valley Campus, which currently serves more than 15,000 students. The purchase price was $56.5 million. Bill Zimmerman, chair of the MSJC Board of Trustees, said he was proud of the district’s conservative stewardship of Measure AA facilities bond funds. One of the City of Temecula’s priorities has been to attract higher education for its residents. It leased the top floor of its former City Hall on Business Park Drive to Mt. San Jacinto College, the home of the current Temecula Higher Education Center. MSJC Trustee Tom Ashley, who represents Temecula and the surrounding communities, thanked the city for its help in facilitating the purchase. Currently, approximately 3,000 students must travel to other locations to achieve their educational goals. The opportunity to purchase this facility allowed MSJC to use voter-approved Measure AA funds wisely and save taxpayer money. Purchasing an existing facility saves taxpayer dollars and expedites the District’s ability to provide access to quality higher education much sooner than needed for new construction. It will allow MSJC to allow leases to expire on the two facilities it operates in Temecula and merge operations into one district-owned property. MSJC anticipates the transition to take at least 18 months. The facility will help the district address shortages in classroom space for courses that students need to earn associate degrees, career certificates or transfer to four-year universities.